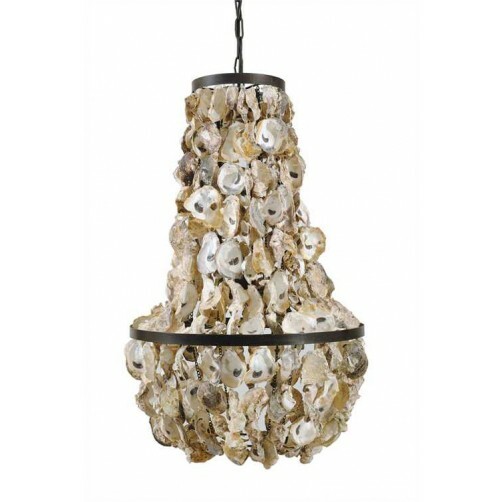 The Oyster Shell Chandelier is a handcrafted nautical inspired piece, constructed from draped oyster shells, accented with dark iron. The perfect compliment of casual elegance in a rustic setting. 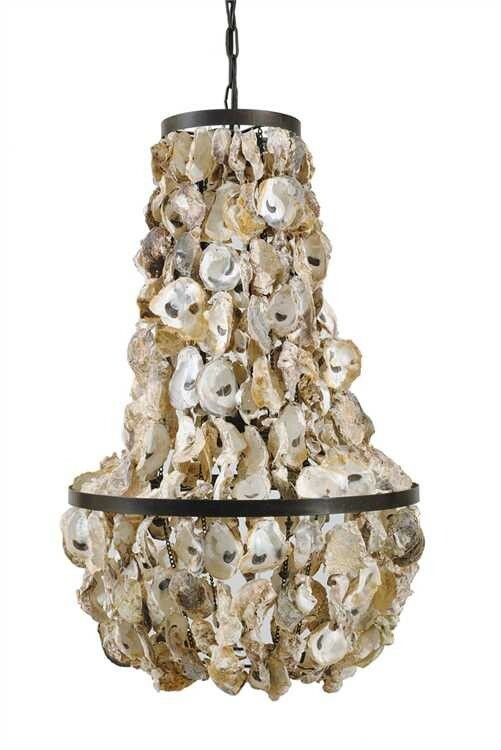 17.5″ Diameter x 29″H. 60 Watt Bulb Maximum (bulbs not included). Hard Wire Only.